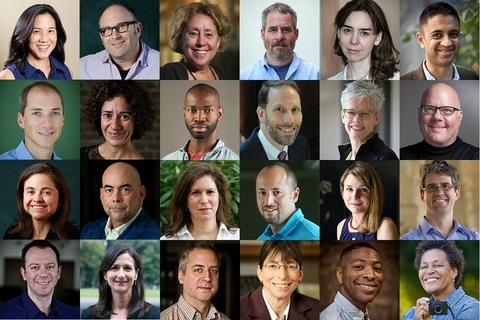 A medieval historian, a dancer-choreographer and an atomic physicist are among the recipients of the 2013 MacArthur Foundation Fellowship grants. Karen Russell, an American author and short story writer, is the youngest of the winners to receive a grant of $625,000, which increased this year from $500,000. The PBS NewsHour talked to Russell in late 2011 about her novel, “Swamplandia!” which was a finalist for the 2012 Pulitzer Prize for Fiction. The foundation also honored Carl Haber, an audio preservationist at Lawrence Berkeley National Laboratory in Berkeley, Calif.
Haber’s work focuses on preserving and providing access to historic recordings. In an interview with the NewsHour, Haber explains why he strongly supports the preservation of recorded information. “Early sound is something they’re not making any more of. And it gives us a really significant and important window on our history as a culture, as inventors, as innovators, as scientists, as researchers about what people were doing, the insights they had, which really a lot of it underlies the information and communication age that we live in today,” he said. 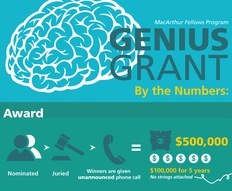 Postscapes created an infographic for a ‘By the Numbers’ look at the MacArthur’s Foundation Fellowship grant.